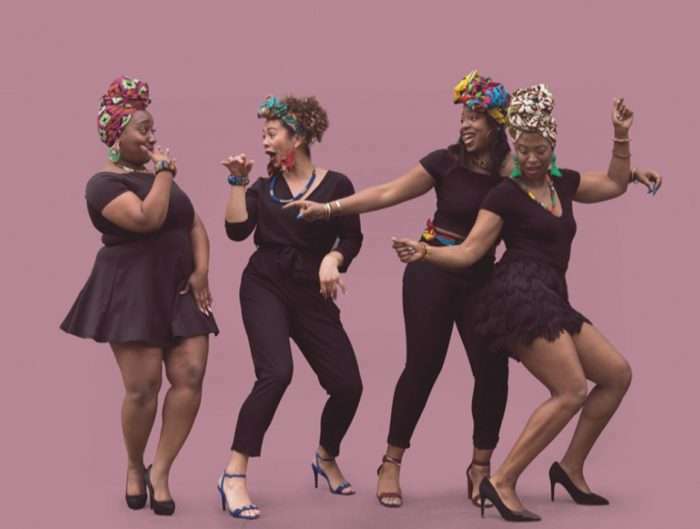 Exploring the confrontations that ensue in multicultural co-existences, Glass Roots showcases focused acting performances but suffers from unsubtle and overly pedagogical writing decisions at the Tristan Bates Theatre. 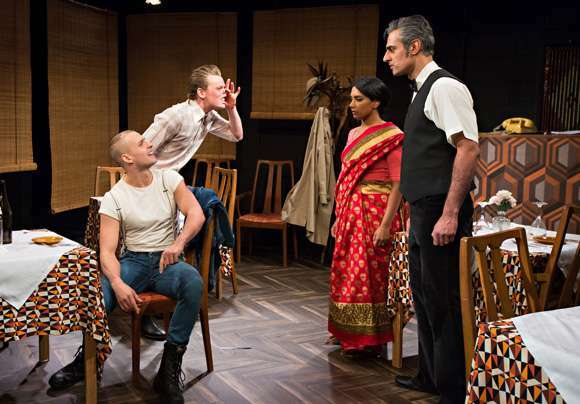 Taking place within the Indian restaurant of immigrant couple Sadjit (Kal Sabir) and Thila (Natalie Perera), Glass Roots immediately situates audiences within the midst of the couple’s homely establishment as they prepare for another shift. 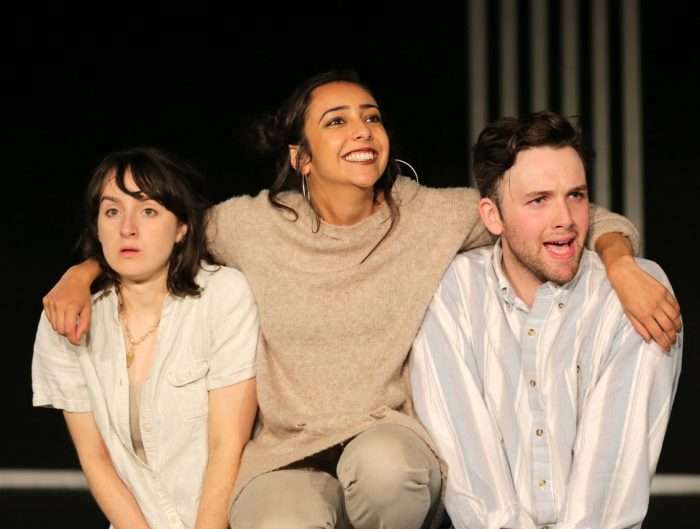 Currently playing at the Tristan Bates Theatre, the production focuses on an onslaught of alienating behaviour that the couple receive from patrons. As Diesel, Mitchell Fisher brings such a level of menace to the play that violence positively radiates from his eyes. The true threat arises from the variation in his delivery; one never knows how the next line will be delivered. There’s only fly in the ointment to an otherwise spellbinding performance; once Diesel’s violence reaches a certain point, Fisher isn’t left with many characterisation options. Rather than reaching an apex, the tension (that has slowly crescendoed throughout the scene) merely dissipates. This is further exacerbated by the 70-minute run time with no interval, which hints at an intense experience in the Tristan Bates Theatre but slightly falters on that front. Regardless, there is a morbid glee to this character’s bullying that audiences will find unsettling – but his onslaught of terror comes to a halt when Thila finally confronts him. This section of Glass Roots becomes a vehicle for a moment of intersectional feminism. Delivered with palpable conviction and raw emotion, this speech is the moment that audiences have been longing for whilst witnessing the couple soldier through a barrage of racially aggravated abuse. Natalie Perera brings a grace and dignity to Thila’s ire that is exceedingly laudable. Whilst the way in which it’s been constructed is too on the nose for me, audiences will be able to identify Diesel’s conduct as an example of blatant racism. He and his friend Spaceboy (Sam Rix) feel entirely archetypal, but the actors admittedly fight throughout to bring layers to their characters. Perhaps that was Alexander Matthews’ intention. Both characters serve as stark oppositions to Celia (Victoria Broom) and her reluctant date, Rupert (Ben Warwick) who are far more ambiguous. These two ‘civilised’ characters immediately bring an antiqued, imperial charm to the restaurant, and their snappy quips usher in comedic relief to the story. As zany and brilliantly acted out as it may be, this dialogue does border on over-intellectualisation, causing some moments to feel superfluously heady. The stylistic intrusion of these characters and their dialogue into the narrative echoes the nature of their intrusion upon the restaurant. It is apparent however, that whilst their interactions with the only two characters of colour (Sadjit and Thila) are not as overtly violent as the young men, they are highly condescending. Whilst their racism is far more subtle and they feel like more fleshed out characters, their parts could have been condensed ever so slightly. At times, one cannot help but feel as though Sadjit and Thila have been side-lined in the story of their own alienation. Glass Roots is a play about the confrontations that ensue in multicultural co-existences and cross cultural exchanges. 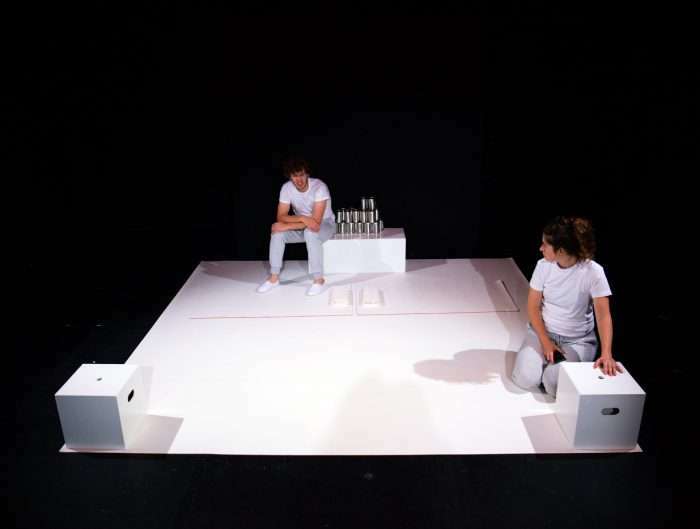 Although the style veers into the pedagogical at times, the focused and intense acting performances from its talented cast make up for the ‘soap box’ moments that permeate through the writing. Whilst the message of the play is incredibly pertinent to our cultural climate, the method Alexander Matthews undertakes in his writing just doesn’t feel that original. Yolanda graduated from King's College London in 2015 with first-class honours in Comparative Literature with French and Korean. 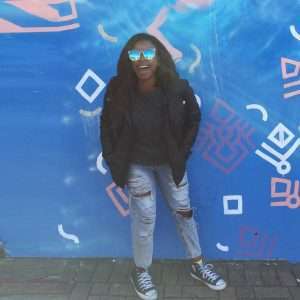 After establishing an academic film analysis blog called Cinesthesium, working as a Development Assistant in a production company, and climbing Mount Kilimanjaro, she attended the Oxford School of Drama. In addition to working in a production company, Yolanda is also a writer, researcher and freelance script reader. Outside of these interests, she is an enthusiastic D&D player and an ardent pop-culture enthusiast.